Dr. Cohen, a native of New Jersey, graduated from Rutgers College in 1988. After college, he went onto the University of Medicine and Dentistry of New Jersey for four years, and graduated in 1992. During dental school, he served as class president for three years, and received many awards and honors for his academic achievements. Dr. Cohen’s aspiration to become an orthodontist stemmed from his own treatment when he was twelve years old. He pursued his goal by graduating from Rutgers College and then attended dental school at the University of Medicine and Dentistry of New Jersey for four years. He then attended a two-year post-doctoral orthodontic program at Temple University’s School of Dentistry to receive his orthodontic certificate and a master’s degree in dentistry. Along with his successful private practice, Dr. Cohen is part of the teaching faculty at Albert Einstein Medical Center’s Department of Dental Medicine, in Philadelphia. Dr. Cohen has been teaching residents how to become orthodontists for more than 19 years. He has developed an Invisalign curriculum at Albert Einstein Medical Center Department of Dental Medicine-Philadelphia and has become an expert in the management of minor and complex teen and adult Invisalign patients. On a personal note, he and his wife have been married for over 25 years, and have two children. Click here to visit the location of our other office. Call 856-358-6800 To Schedule an Appointment Today! All of us here at the Office of Dr. Steven Cohen are dedicated to taking care of your orthodontic needs, using the latest technology and advances available. We understand that every patient comes with different needs and expectations and we will do our best to address each of them. In our office Dr. Cohen personally performs all of the “wire bending” and cementing of appliances, giving you the highest quality orthodontic care to achieve the finest results possible. 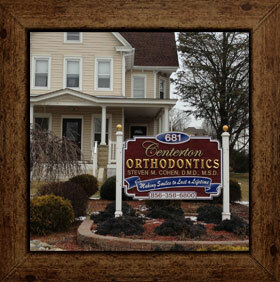 This has helped him become one of Philadelphia and South Jersey’s premier orthodontists.